Finding out you’re pregnant is one of the most exciting times in a woman’s life! Maybe you’re a first-time mom, or this is your second or third child. No matter how many times you have taken a pregnancy test only to see those two pink lines: the excitement, anticipation, and nerves never seem to fade. Finding out you’re pregnant also comes with a ton of decisions to make. Will you be seeing an OBGYN or a midwife? Do you plan to deliver in a hospital, a birthing center, or maybe even at home? There are so many things to figure out, and deciding on a prenatal vitamin is one of them. While it may seem like such a basic task, there are so many different options to choose from! From chewables to pills to liquid vitamins, the list goes on and on. Plus, not only that but many women are confronted with the dilemma as to whether or not they want folic acid or folate in prenatal vitamins. The folic acid vs. folate in prenatal vitamins debate has become pretty heated over the past couple of years. More pregnant mommas are learning about the difference between the two and wondering if they should be taking one over the other. The problem is that many prenatal vitamins contain folic acid and finding ones that contain folate may be more of a challenge and more expensive. But, what’s the big deal anyway? Is it really all that important to choose folate in prenatal vitamins over folic acid? Let’s talk about it. Let’s take a look at what folic acid is and then compare that to folate and talk about why there’s such a big debate over this. Folic acid is a water-soluble B-vitamin that is a recommended supplement before and during pregnancy to help prevent neural tube defects. Folic acid is the synthetic form of this particular B-vitamin that is commonly added to foods like cereal, flour, as well as bread. Folate, on the other hand, is the natural form of the vitamin (vitamin B9) that occurs naturally in foods like dark leafy greens, beans, mushrooms, and meat. So, What’s the Big Deal with Folate in Prenatal Vitamins? So, if both have been accepted as helping to prevent neural-tube defects, what’s the deal with the big debate between the two? One of the biggest potential issues with folic acid is that some women simply cannot metabolize it. This often occurs with an MTHFR gene mutation where women need L-methylfolate instead of folic acid. When taking folic acid, the body has to undergo two conversions in order for the body to use it. After the two conversions take place (DHF and then to THF) the THF can then be converted into L-methylfolate which the body can then use. The tricky thing with this is that it is estimated that nearly 60% of Americans have issues converting folic acid into the usable form of L-methylfolate. This can cause issues for pregnant women as they may not be getting enough folate the body needs and they may start to experience a buildup of folic acid in the body. 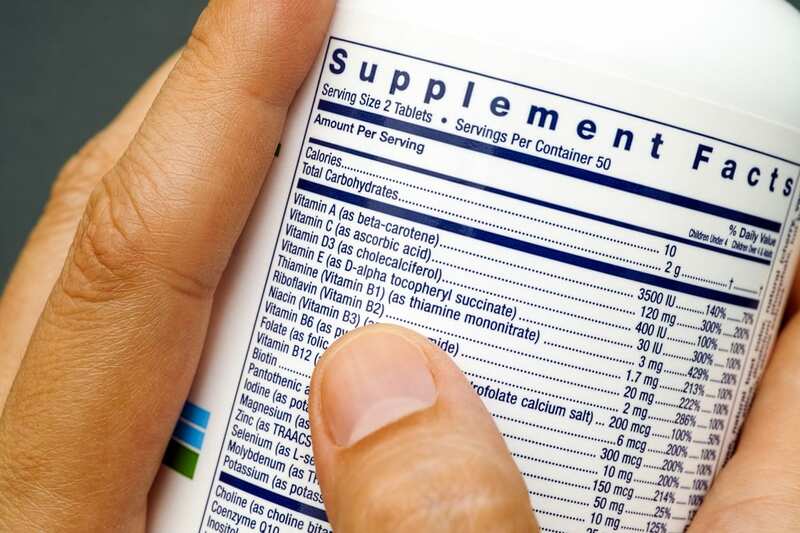 What Should You Supplement With? You may be still wondering what you should supplement with? Should you opt for a prenatal vitamin that contains folate VS folic acid? There is some new research that has stated that due to the very high prevalence of the MTHFR gene mutation, it may be recommended to supplement with L-methylfolate instead of folic acid as a way to prevent any type of issue relating to the breakdown of folic acid in the body. The answer ultimately lies within your genetic makeup. If you know that you have the MTHFR gene mutation, you are better off supplementing with folate. However, what if you don’t know if you have this mutation? Seeing that a huge majority of the population has difficulty converting folic acid into folate, you could just decide to choose a prenatal with naturally occurring folate anyway to be on the safe side. The great news is that more and more prenatal vitamin companies are starting to offer naturally occurring folate in their products so you should be able to find a supplement that works best for you. Here are a few great options with the recommended daily dosage of folate: Garden of Life, New Chapter, Smarty Pants, Thorne. If you have specific questions or concerns about what vitamin you should be taking throughout your pregnancy, be sure to speak with your OBGYN or midwife. They can help develop the best plan for what supplement will work best for you.